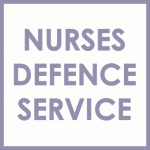 Dishonest Nurses | Nurses Defence Service – UK. Each year a number of nurses are referred to the Nursing and Midwifery Council (NMC) for alleged dishonest conduct. Dishonesty can take many guises. Obvious dishonesty could be shoplifting, stealing drugs from a hospital, or intentionally misleading others by falsifying the data entered on official forms. Then there is moonlighting – working for an employer while off sick from a job another employer – which is more common than one might think. In other cases a nurse may have been dishonest in the workplace but felt pressured by others to do so. A nurse who is referred to the NMC for dishonesty may be wholly innocent. Such nurses will need to defend their good name through the NMC investigations process. On some occasions, witnesses against a nurse will lie and exaggerate because of bad blood between them. Many nurses are of previous good character, when they appear before NMC panels. A nurse’s good character will assist them, to some degree, to show that their dishonest conduct was out of character for them. Alternatively, good character can be used to demonstrate that admitted dishonesty was an isolated event, so permitting the NMC panel to take a more lenient approach, in contrast to a nurse who has been dishonest on several occasions over a long period of time. Latest Court Judgment on the test for dishonesty: Ivey (Appellant) v Genting Casinos (UK) Ltd t/a Crockfords (Respondent)  UKSC 67. The following paragraph needs to be read in light of the Ivey judgment. 2) Your conduct as set out in paragraph 1 was dishonest. Your fitness to practise is impaired by reason of your misconduct. The same approach would be taken in relation to Charges 3 and 4 below. 3) You called in sick to Employer A (your salaried job) while working a shift for Employer B (an agency), over the same time-frame and received pay for both. 4) Your conduct as set out in paragraph 3 was dishonest. The NMC would have to prove that the nurse had a commitment to cover both shifts and had indeed full knowledge of what she was doing, and that she was dishonest in her actions. So, again, there would be an objective and subjective test to be applied by the NMC when determining whether the nurse has acted dishonestly. Again this would be determined on the balance of probabilities. The booking of the agency shift when the nurse knew she would have to call in sick could be said to be dishonest, as could putting in a time-sheet to claim for the pay for the agency shift, while taking no steps to inform her employer that she had been able to work after all. NMC charges will often have a number of aggravating features to them, like in this charge (charge 3 and 4), which would make the misconduct particularly serious. This in turn could lead to a much more severe sanction being imposed on the dishonest nurse. Nurses should therefore ensure that they avoid moonlighting conflicts. Unlike the criminal courts (which assesses evidence to the criminal standard – i.e. be satisfied so that you are sure), the NMC (being a regulatory tribunal that is civil in origin) assesses evidence on the balance of probabilities (i.e. which version of events is more probable, or more probably occurred) – the threshold being 51% or greater probability that the alleged misconduct occurred. The lower threshold to find a case increases the chances that a nurse will be found guilty of dishonesty. Proper preparation is therefore absolutely essential before going to a hearing or submitting documents to the NMC. Nurses often make mistakes in handling their case without the assistance of a specialist lawyer, when engaging with the NMC. Nurses can often say too much or too little to the NMC, or say the wrong thing out of panic, which will later detrimentally affect the way that their case is determined by the NMC. Nurses Defence Service can assist nurses to assess the case being brought against them, give them legal advice and guidance on admissions and denials, and on the evidence the NMC has obtained, and on the evidence the nurse should obtain to defend her- or himself. Nurses Defence Service can assist nurses with writing a reply to the NMC, and provide legal representation at all stages of a NMC investigation into allegations of dishonesty. It is therefore essential to attend and prepare fully for the hearing. See also the NMC’s guidance on imposing sanctions in cases of dishonesty. Abiodun v Nursing and Midwifery Council  EWHC 434 (Admin) – a nurse was struck off for a single incident of dishonesty (providing false references). Appeal dismissed. Oluyemi v Nursing and Midwifery Council  QBD (Admin) – a nurse was struck off having dishonestly obtained a job with false documents. Appeal dismissed. Okpara v Nursing and Midwifery Council  EWHC 1058 (QB) – an erasure order was upheld on appeal where a nurse had been dishonest and shown a lack of competence. Despite opportunities the nurse had failed to remediate he sub-optimal nursing practice.